This fascinating portable demonstrator was likely conceived and executed by an entrepreneur to pedal doorbells as a door-to-door sales man. An ordinary cosmetics case was modified with a cutaway grill covered with gold speaker cloth. 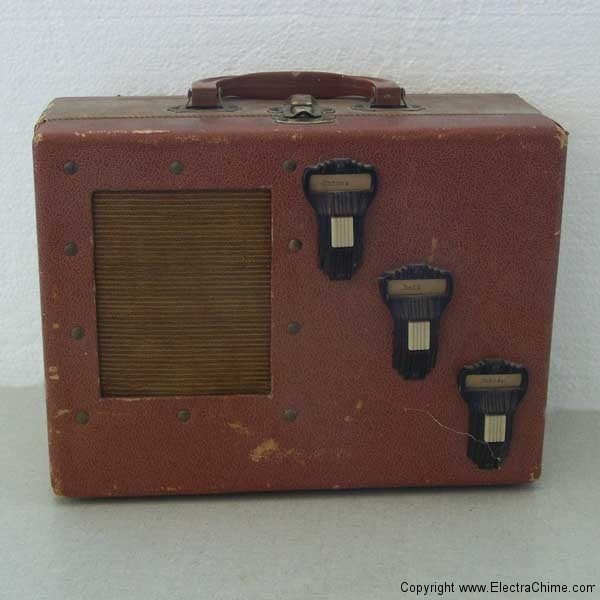 Three bakelite buttons are arranged diagonally along the front. 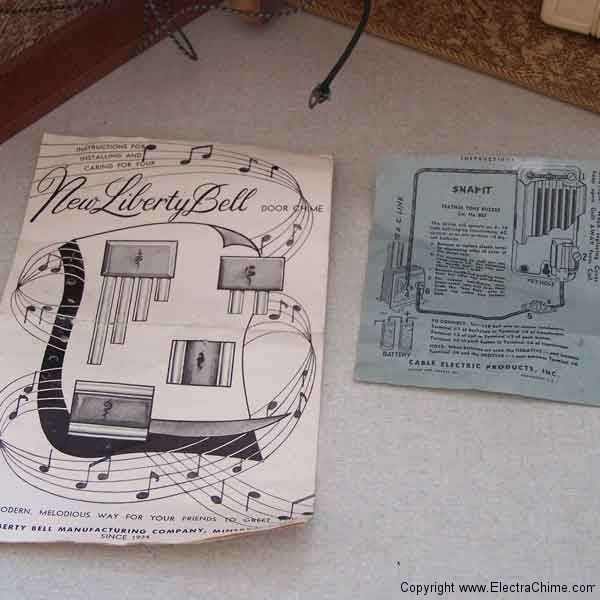 The three buttons are labeled from top to bottom: Chimes, Bell and Buzzer. 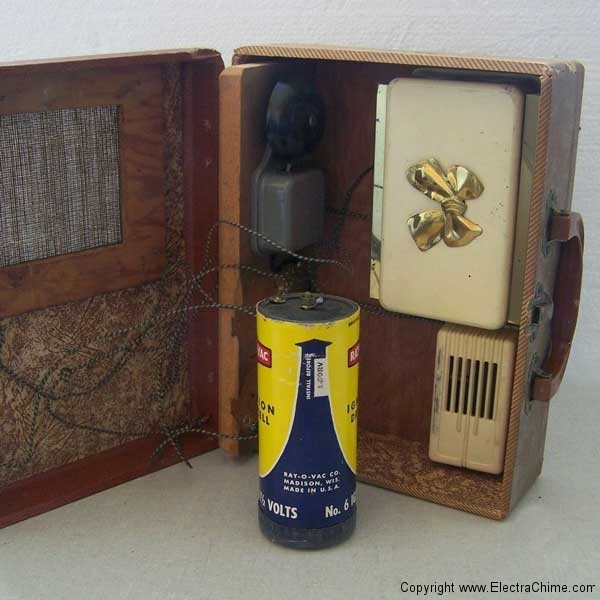 Inside, the buttons are wired to ring from a battery a compact Liberty Chime, a Faraday Doorbell and a Snap-it Buzzer. The three different brands of equipment suggest this demonstrator was not from any one of the factories. It is likely a salesman would knock on a door, and then demonstrate the advantage of an electric signaling device. Simply visting the door, would advise the salesman whether any type of electric signal device was present. And in a neighborhood with predominantly installed bells or buzzers, the salesman could up-sell a door chime. Although speculative, it is possible that imediately after closing a sale, the salesman would install the new chime, buzzer or bell immediately with tools and supplies from the trunk of his car. Certainly the person that designed this demonstrator would have had the skill and initiative to do the installation.